Aviation – DU Technologies, inc.
DU Technologies (DU) manufactures and supplies Ground Support Ducting to the US Navy, Air Force, Army, Marine Corps and other military echelons. Based on our knowledge and expertise in developing and producing high performance military ducting for more than 12 years, DU has extended its military product line to provide the same quality and performance ducting to the Commercial Aviation Industry. Our welded PCA duct product line is available in 8”, 10”, 12”, 14” or 16” ID, and up to 75 feet in length. Several lengths can be coupled together, using either a hook and loop closure system, PVC or metal couplers with screw clamps or T Bolt clamp system or zipper attachments. 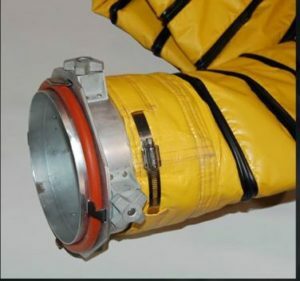 Flexible elbow couplings to prevent duct kinking and collapsing. 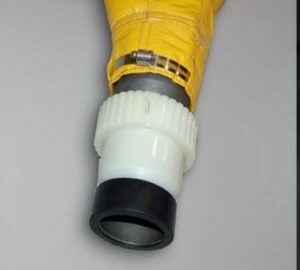 Specialized adapters to connect various diameter ducts or connectors. 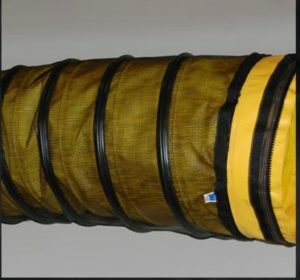 8-inch diameter connectors, which facilitate the attachment of the lay-flat, wire-wound or memory ducting to the aircraft. 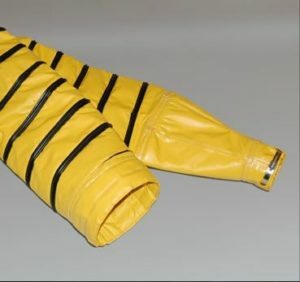 Disposable Drag Vest for PCA protection against excessive wear and tear.